Additional Info: The remedy is indigenous to the southwestern areas of the USA, and any part of India. Elements Applied: Leaves, roots, and the herb itself are applied in herbal medicine. Used For: The herb is particularly effective in stimulating and rejuvenating the organism, treating constipation, reducing fevers and boosting metabolic rates. It possesses healing properties, and acts well on the nervous system. The leaves and the root are specifically used to induce bile movement. The root is also used to purify the bowel, induce vomiting, boost metabolic rates, and stimulate the system. Leaf juice is applied for liver conditions and diarrhea. 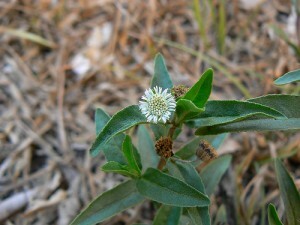 The plant can be applied in the following cases: ear pains, cirrhosis, aging process (rejuvenates the organism, acting positively on the eyesight, memory, bones, teeth, and hair), hair loss and graying, hepatitis, uterine bleeding (applied as a leaf decoction in a dose of 2-4 ounces two times a day), enlarged spleen, insomnia, skin conditions, liver and kidney weakness, and headaches. Leaves and root are mostly applied separately or in conjunction with ajowan seeds for gallbladder and liver conditions. They are additionally applied to stimulate liver, as an alternative for Taraxacum. Preparation and Intake: The remedy is applied in form of ghee, oil, powder, decoction, and infusion. Safety: Warning! The plant may lead to strong chills. Not recommended to use without medical control.